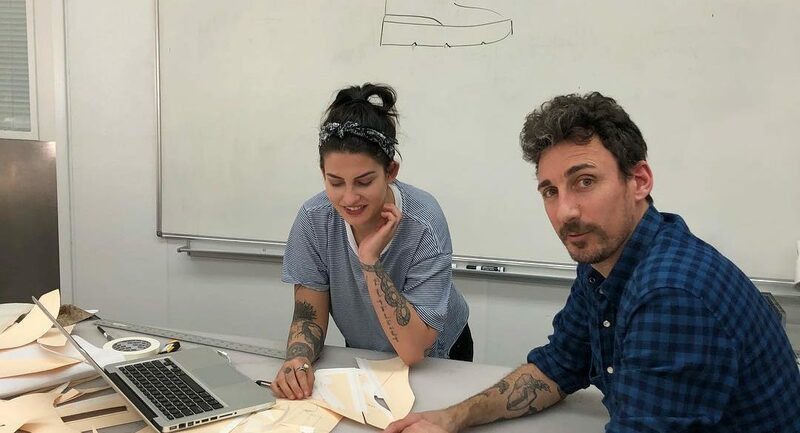 Damion Le Cappelain (right), Footwear and Accessory Design Program Coordinator, with a student. FSD: Based on your experience living and working in London, the American South and now the Bay Area, what are the key stylistic differences between these fashion scenes/communities? Le Cappelain: London is a melting pot of fashion, art, music and street culture in its many forms. People are very informed and fearless; it’s definitely a thing to look stylish there. The younger people can’t afford to buy too much of designer labels so there’s a tendency to be creative and resourceful and mix stuff up: vintage with sports with prints. With such a large population doing different things, I point students to ID Magazine to get a snapshot of London style. 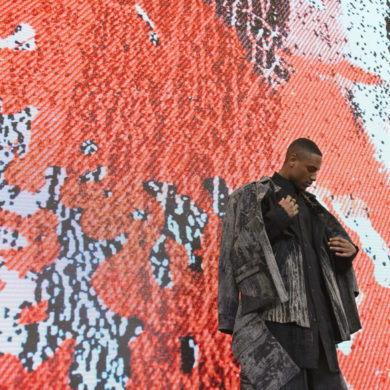 With the American South, it’s not in their culture to push boundaries stylistically. There’s preppy and being really comfortable in sportswear… If I was to single out a forward-thinking southern style, I would point to the hip-hop scene, with Atlanta being its hotbed. In the Bay Area, it seems that functionality is a priority. I’m seeing a lot of North Face and Patagonia. However, you do occasionally see some crazily-dressed people that are totally doing their own thing. Such stylistic liberalism might be unique to San Francisco. FSD: What is your earliest fashion memory? Le Cappelain: Oh, the eighties! George Michael wearing Katherine Hamnett T-shirts printed with Choose Life. Super bright clothes with baggy silhouettes, pastel-colored deck shoes, all that permed and highlighted hair, labels like Benetton and Fiorucci. Such an unashamed surge of colorful creativity and not just in fashion: skateboarding, breakdancing, hip-hop, synth music, electronic drum machines, calculators… Amazing! 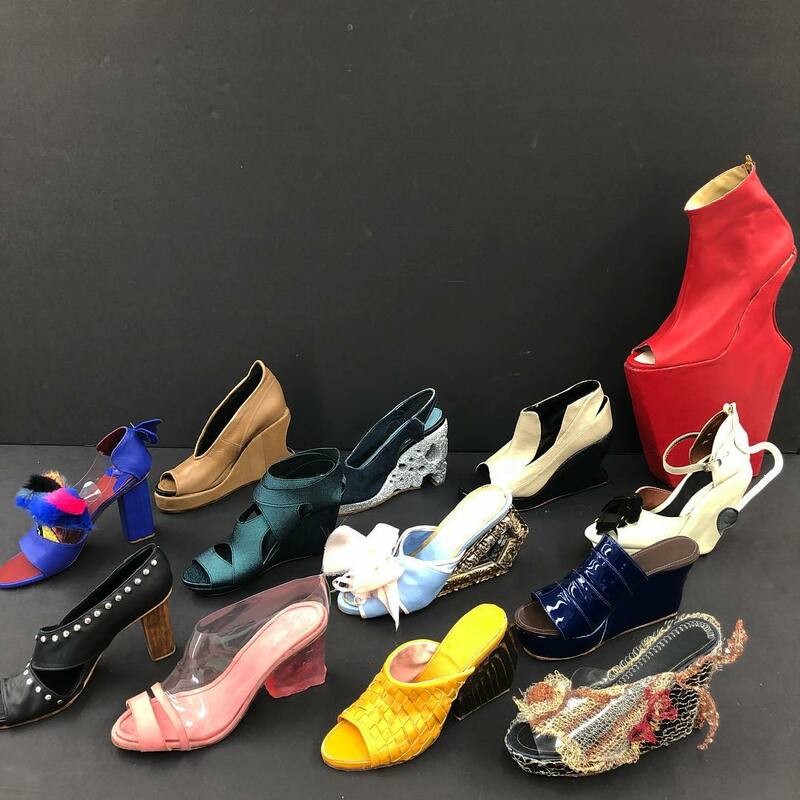 On photo is the unique collection of wedges and high heels shoes 👠 designed by #academyufashion @academyuaccessories students. FSD: What does your creative process look like? Le Cappelain: I produce made-to-order commissions, so it’s a continuous conversation with a client: the style, colors, materials, everything. The process culminates in a unique experience and a bespoke product they’ve had creative input on. I also have a line of bags and footwear that I produce within my own personal aesthetic. The Le Cappelain customer dresses in a quirky manner with an eye for interesting and original details. I’d say these fit within a slow fashion model, outside the fashion cycle. They’re launched when I finish developing them. FSD: What reigns supreme in footwear and accessories: concept or craftsmanship, and why? Le Cappelain: I’m passionate about craftsmanship. Footwear and accessory-making are extremely technical. The process involves many steps, use of many different tools and materials. However, I’m also excited about a solid design concept. Ideally, you’d have both. For example, a Céline handbag is an exquisite combination of design and craftsmanship. FSD: In terms of professional success, what is the ratio of talent, business-savvy and luck? Le Cappelain: My stepfather has a saying which I often think about as so true. “The harder you work, the luckier you get.” This includes not just working hard developing your skills as a designer and building a portfolio, but also by putting yourself in situations or environments where you can network and make important connections. Also, it’s important to be self-aware enough to know that if creativity is not your strength, but being business-savvy is… then you connect with the right resources to make that work for you, and vice versa. 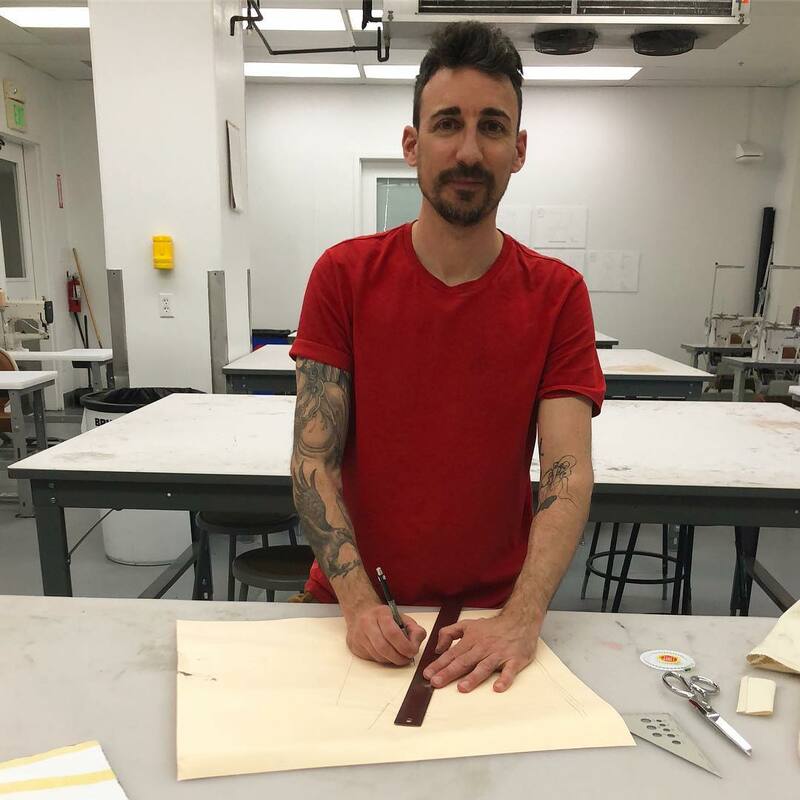 FSD: What are your hopes and expectations for footwear education at the Academy? Le Cappelain: We’re in a unique position at the Academy. 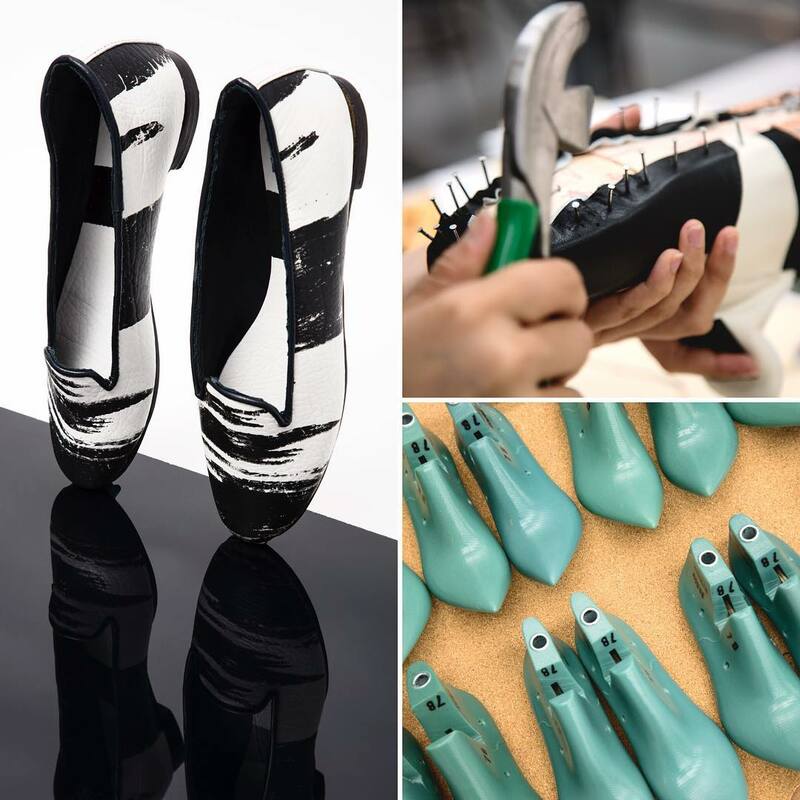 The advantage is that we have very little competition in accessory design, and, at the same time, we have the full support of the School of Fashion to secure the right tools, equipment and resources. This is a perfect combination of circumstances to design and grow a new kind of program. We are working to develop curriculum that is in touch with the latest trends in footwear and accessories. I’m very excited at the prospect of building the best accessory design program in the US! Le Cappelain: [Laughs] Generally, nay… But I’m always open to have my mind changed. For example, I always hated Crocs. But then there was a girl in my class at the RCA that managed to make them look really really cool! However, it’s just that one girl. [Laughs] So, never say never.